A stunning new Acura NSX might be followed by a more pedestrian mid-aught Volkswagen Golf GTI or a midcentury representative of American muscle. A made-to-order Ford GT supercar mingles with its ubiquitous cousins – a bevy of Ford Mustang GTs that might be worth only a tenth of the supercar’s list price. The thread that unites all attendees is pride in their vehicles and a desire to share them with other people who “get it.” Enthusiasts of every background are brought together by the camaraderie of the local car culture. I’ve often documented my trips to Cars and Coffee on Instagram in the past. I really love taking the family to go check out the cars and just generally enjoy a Saturday morning together. Perhaps it’s memories of going to Marcus Dairy when I was in high school, or perhaps it’s me trying to share with my kids what my dad shared with me. But one way or the other, Cars and Coffee has been an integral part of my family for years. I’m pleased to see it get some local recognition. This week I had a blast joining my good friends Stephen Hackett and Jason Snell on this week’s episode of Download. On this week’s show, Jason and Stephen discussed some new Fitbits, Apple hires in Qualcomm’s area of expertise, the recent Facebook news. Then I join the pair for some insights about the Geneva Motor Show. I was on this week’s episode of Clockwise, with Aleen Simms, Dan Moren, and Mikah Sargent. This week, we discussed Apple’s supposed demand of 50% of magazine subscription revenue, where money goes in the App Store, Amazon acquiring eero, and some nostalgia for fancy tech from years past. This one was a particular hoot, as I think we were all just a little bit loopy. I have no idea how Dan was able to squeeze it into just thirty minutes, but that’s what makes him so darn good at what he does. When it comes to car enthusiasts, there’s another topic that invites argument more than almost any other: how do you like to wash your car? Since I’m an idiot a glutton for punishment, but also since I’ve been asked several times in the past, and also because of that sweet sweet affiliate money I like to help people, here’s a basic walkthrough of the methods I use. My car, my rules. Your car, your rules. Please come to your own conclusions. 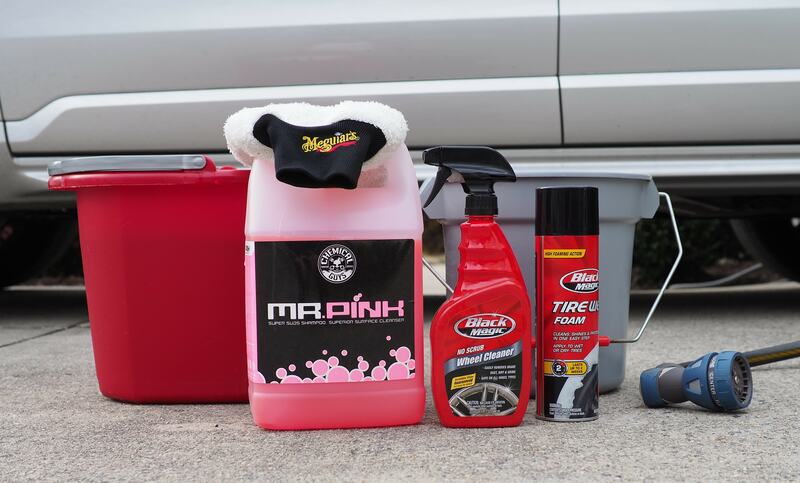 This post is meant for the person who wants to start taking care of their car. It is not meant for the seasoned car washing enthusiast. I’m sure this list of tools will utterly horrify some, but I hope it will also help some others. When the weather is nice, I try to wash my car once a week. I don’t always get to every step in this process. I do try to do this sort of thorough cleaning once a month though. I am a fan of the two-bucket system for washing your car. One bucket is for soapy water; the other is for rinsing off your dirty sponge. The theory is that all the impurities and contaminants are rinsed off in the dirty bucket, so they don’t muck up the clean bucket. I’m pretty sure this is a placebo, but I like it, so that’s the way I do it. I happen to use this Rubbermaid bucket as my dirty one; I’m not sure where I got the clean bucket. But really, any bucket will do. There’s no real science here. For a long time I used Turtle Wax car wash, but some friends recently turned me on to Mr. Pink car wash, which is excellent. It’s super sudsy, and I’m told, easy on your car’s paint. For a sponge, I use this mitt from Meguiars, though I never actually use it as a mitt. It’s just a nice sponge. To wash, I fill the clean bucket with soapy water, one with plain water. Dip your sponge in the clean bucket, apply soapy water to the car, top → bottom, back → front. Do one section at a time. Rinse with the hose after each section. I really really hate brake dust. It’s the stuff that makes your wheels brown, particularly up front, which tends to be where most of the stopping happens. If I have the time, I try to always clean my wheels when I wash the rest of the car. I have come to quite like the Black Magic No Scrub Wheel Cleaner. I spray it all over the wheel, and then simply wipe the dust off with a damp rag. Then I spray it down with the hose when I’m done. It’s important to have a dedicated wheel cleaning rag, as it will be pretty much instantly destroyed by brake dust forever. I do re-use that rag, but only for wheels, and never for anything else. One of the few flaws of my Golf R is that the exhaust tips get really brown really quickly. In casting around for a solution to this, some friends strongly recommended Barkeeper’s Friend. I got the powdered version. I sprinkle it on a damp rag, mush it around in the rag to make a bit of a paste, and then apply to the exhaust tips. Spray clean after. I’ve linked to this on Amazon, but you can probably find this cheaper in your local Target or equivalent. It’s also worth noting that it works well on lots of stuff around the house, such as metal sinks. I don’t have particularly strong opinions here. I use bath towels purchased at Target. The only advice I have is that I’ve found 100% cotton seems to be not absorbent at all. I do advise getting towels that are in part polyester, which seems to dramatically increase how absorbent the towels are. Before I begin to dry, I spray down the whole car one more time to try to alleviate any spotting. Then I try to dry the side of the car that faces the sun first, since it’s most likely to dry and create spots first. Otherwise I move top → bottom, back → front, just like when I wash.
As with clean wheels, I really love how a shiny, wet-looking tire presents. There’s many different products that can achieve this goal, but I really like Black Magic Tire Wet Foam. Once the tires are at least mostly dry, you simply spray that foam on them, and then walk away. No buffing required. Since it’s so quick and easy to spray this foam on, I’ll spray all four tires from time to time, between washes, to freshen them up, when I think they need it. Just be sure to let the foam dry up before you drive the car, lest you spray the excess foam all over your bodywork. Generally speaking, in the spring and fall I try to find the time to wax the car. I feel like this is particularly important in the fall, as it puts a protective layer on the paint prior to the harshness of winter. Yes, even here in Virginia. Apply a little NuFinish to the cloth. A little goes a long way. Wait for the wax to dry. Not only will it be white, but if you swipe a finger across it, you’ll take the wax right off, and it’ll feel dry. With a different, dry, cloth, also using a circular motion, rub the wax off the car. Do the above one panel/section at a time until the whole car has been waxed. Every couple years, time permitting, I’ll clay my car. The first time I heard about this, I thought it was absolutely bananas. Nevertheless, I tried it, and was amazed at the result. Specially created bars of clay can be used to take invisible impurities out of your paint. I know how ridiculous this sounds. I didn’t believe it either. I thought it was the automotive equivalent of ear candling. One time I clayed my wife Erin’s car. When I got to the hood, I only did half of it. I asked Erin to run her hand across the hood, from the non-clayed side to the clayed side, to see the difference. With some eye rolling, she did so. Her face quickly went from 🙄 → 😳. The difference in feeling between the side that had been clayed and the side that hadn’t was tremendous. One had the feeling of a mirror; the other felt like a veritable sand trap by comparison. Once you clay your car, it will feel noticeably smoother to the touch. When you’re done, wax the whole car. This is typically a half-day affair, even for a normal-sized sedan. I haven’t yet clayed my wife’s SUV, but I assume that it will be an all-day affair. Claying a car seems (and looks) ridiculous. I’m telling you, it’s worth it. Every few years, I also like to do a full round of leather conditioning. Another friend of mine recommended this kit from Lexol, which is expensive, but well worth it. It took a really disgusting looking steering wheel back from the brink of death, including making some cracks all but disappear. The Lexol kit contains cleaner and conditioner for leather, and protectant for vinyl surfaces like your dashboard. For the leather, apply the cleaner, and then the conditioner. For the protectant, just use it on non-leather, plasticky surfaces, as you would Armor All. It took me forever to do all the seats, the steering wheel, and my shift boot in my last car with all three Lexol liquids, but I was stunned by how good everything looked when it was all done. I can’t stress enough that I am not passing off any of what I’ve said as the one true way to clean a car. I also take my car to automatic car washes from time to time. Different tools in the tool belt. As with all instructive posts one reads on the internet, I strongly suggest careful scrutiny of the above, and for you to form your own conclusions. That said, I find washing my car — especially with my kids — to be an extremely enjoyable way to spend some time outdoors on a nice day. Software development is an interesting practice. It is a field that is filled with strong opinions, and just about every practitioner is convinced they know the right way to write software. This starts with languages and third-party libraries, but continues through the day to day ceremony of developing software. As a consultant working in the 2010s, I practiced Agile software development for many years. Agile has come to mean many many different things to many different people. More often than not, it’s associated with buzzwords used to make executives happy. However, I’ve seen Agile work phenomenally well… once. During that project, I learned a tremendous amount about what does work. I also learned a lot about what doesn’t work in… every other project I worked on. I joined John Chidgey on his wonderful Pragmatic podcast in order to try to convince John that Agile isn’t totally bunk. On the episode I discussed the many many ways Agile can fail, and how to avoid some of those pitfalls. Agile may or may not be for you, but I think the episode came out really well. It started when Belkin released a firmware update for their Mini Smart Plug which enables HomeKit. I happened to have a couple of these devices already; after I updated them, I suddenly had my first couple of HomeKit devices. At first, this was mostly a novelty. I could use Alexa to control our lights, which was often far more convenient and reliable than Siri. However, being able to turn lights on and off using my Watch made me feel like I was living in the future. HomeKit fell onto my mental back burner until I noticed a tweet by Ryan Jones. Ryan was wondering aloud about installing Homebridge on a Raspberry Pi. Ryan’s tweet reminded me that I’ve been meaning to kick the tires on Homebridge since Jason and Federico had been talking about it. Homebridge is a software bridge that allows you to put devices that are not HomeKit compatible onto HomeKit. It has a plugin-based architecture that allows you to download plugins for a ton of different IoT devices. Homebridge can be run on most any computer; that’s why Ryan was looking at running it on a tiny, low-cost, Raspberry Pi. Ryan’s musings had one key piece that I hadn’t considered, however: Docker. Docker is sort of two things rolled into one: virtualization and downloadable containers (much like virtual machine images) that effectively bootstrap the installation of applications. These applications are then sandboxed into their containers, so they can’t [easily] mess with the rest of the system they’re running on. Though I’d never used Docker before, I understood the basic principle behind it, and thanks to a link in Ryan’s tweet, I realized I could get a Docker container that has Homebridge pre-installed on it. Unfortunately, I have yet to find Homebridge plugins for my thermostat nor my garage door opener. However, with less esoteric devices, you may have far better luck. Furthermore, if you have a Mac or PC that is always on, there’s no reason you couldn’t run the Homebridge Docker container on that device as well. 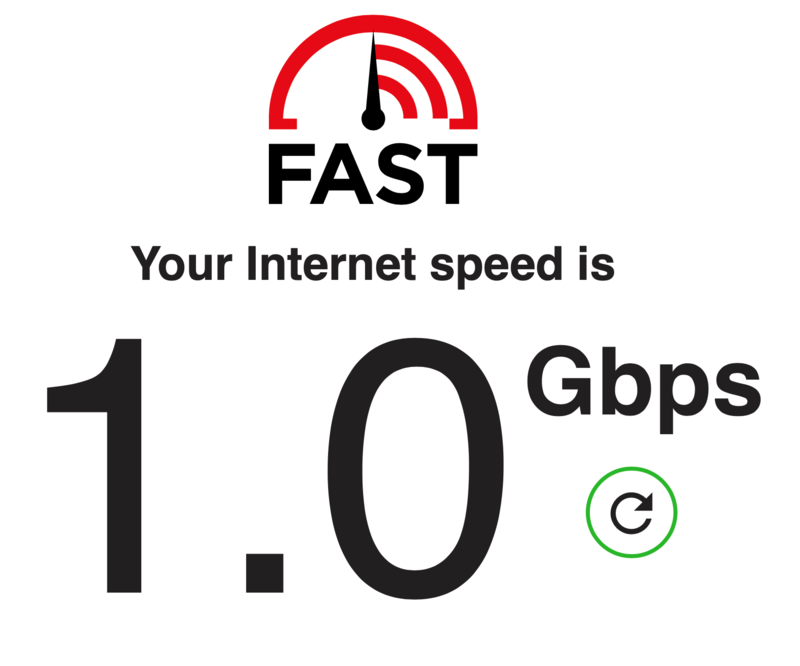 So, here in early 2019, I’m finally enjoying the fruits of 2014’s technological advances. Tyler Stalman jumped into my world — seemingly out of nowhere — a while ago when he sent me an incredible set of tips about filmmaking. That 50 second video blew my friggin mind. Here it was I thought Tyler was some nobody with a good eye, but turns out I could not have been more wrong. Well, he does have a good eye, but Tyler is a prolific photographer, filmmaker, YouTuber, and Instagram whatever-word-I-use-for-influencer-that-doesn’t-sound-stupid. I’ve gotten more and more exposed to Tyler’s work over the year and I’m constantly impressed with all of it. Plus, he’s a Canadian, so naturally he’s annoyingly impossibly nice. Anyway, I say all this in part because I’m trying to call attention to things and people that are cool and deserve it. I say it in part because I think you should give Tyler a chance and check out his work. As with all things, I also say it in part because I have a selfish motive. I was on Tyler’s podcast this week. On this episode, my ATP co-host Marco Arment and I spent some time with Tyler discussing what it’s like trying to break into YouTube in 2018. I really enjoyed the conversation; I think there’s a lot to learn in it, even if YouTube isn’t your bag. I always learn something whenever I chat with Tyler (or Marco! ); I bet you will too. This week I joined Florence Ion, Jason Snell, and Stephen Hackett on the weekly wrap-up show, Download. On this episode, we discussed the 💩show that was Sundar Pichai’s visit to DC, Instagram’s new management, an Apple grab-bag, fake [technology] news, and the Mother of all Demos. Download’s a fun show, and this one in particular I thought came out really well.